Chicago Engineers Foundation and Union League Club of Chicago present a luncheon discussion of Lightning Strikes, a book about the life and work of Nikola Tesla. Starting January 1, 2019, submit online applications by 9:00pm (CST) on April 1, 2019 to be considered for an Incentive Award. 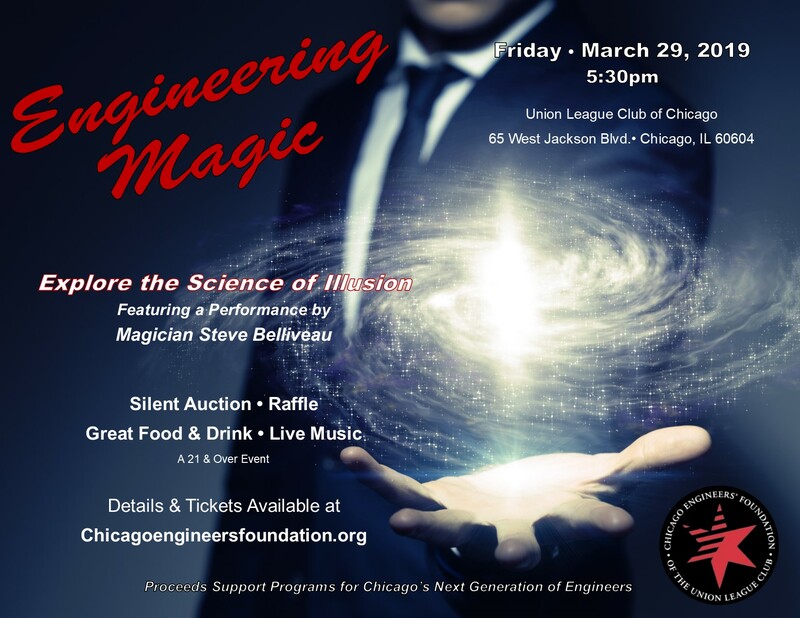 Thank you for joining Chicago Engineers Foundation for an evening of magic, with an engineering twist. CEF volunteers will participate in a variety of activities throughout Chicago during this national week-long initiative to encourage young people to discover engineering. Chicago Engineers Foundation, the Society of Women Engineers-Chicago Chapter, and Union League Club of Chicago present a reception in celebration of engineers. The 2019 Incentive Award cycle opens January 1, 2019. Completed applications must be submitted by April 1, 2019 via CEF’s online application portal. Additional information about the CEF Incentive Awards is available here. The CEF Board meets bi-monthly at 12 pm – 1:00 pm at the Union League Club. The meeting is a luncheon. Attendees include Board members, advisors and interested parties. 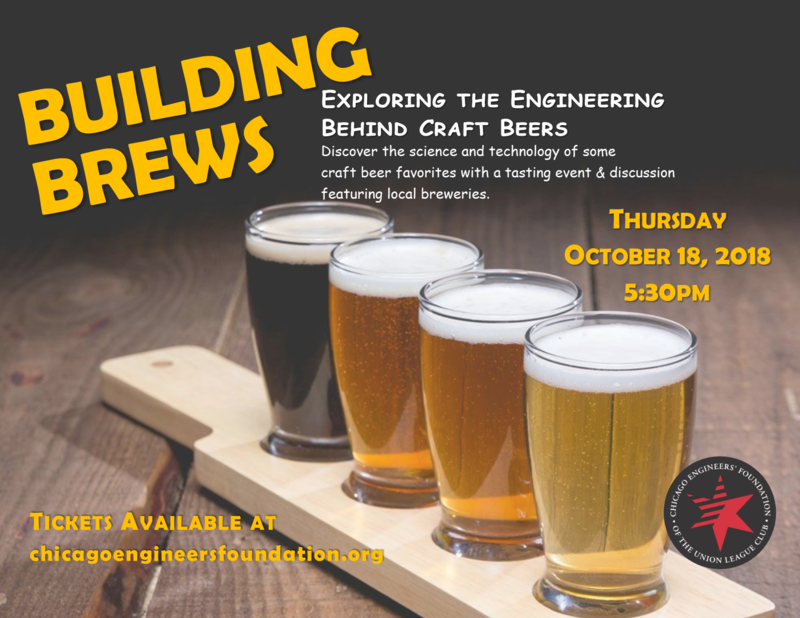 Exploring the engineering behind craft brewing at a tasting event featuring area breweries. 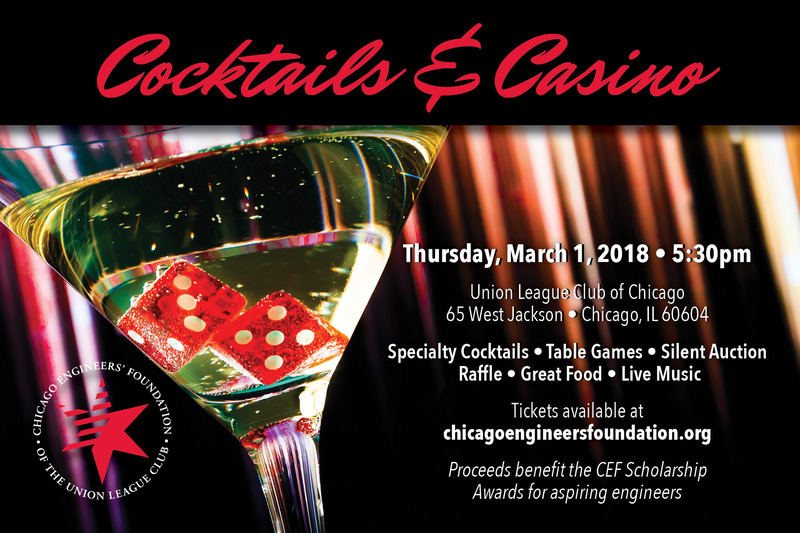 The leadership of the Chicago Engineers’ Foundation invites guests to attend the 2018 Annual Meeting. 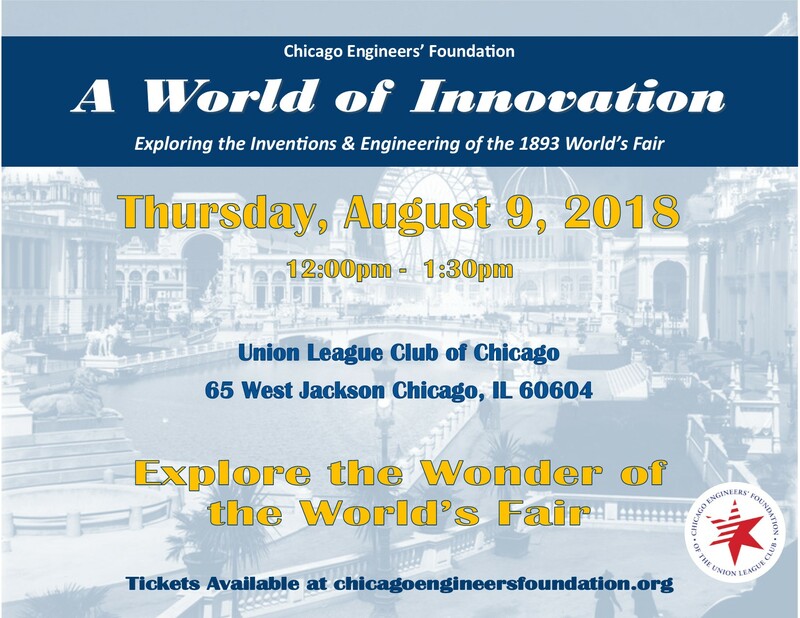 Chicago Engineers’ Foundation presents a look at the innovations and engineering of the 1893 World’s Fair. Thank you to everyone who participated in Cocktails & Casino! It was a wonderful evening in support of the 2018 CEF Incentive Awards. Celebrate National Engineers Week at a luncheon and panel discussion focused on the importance of STEM education for the Chicago economy. 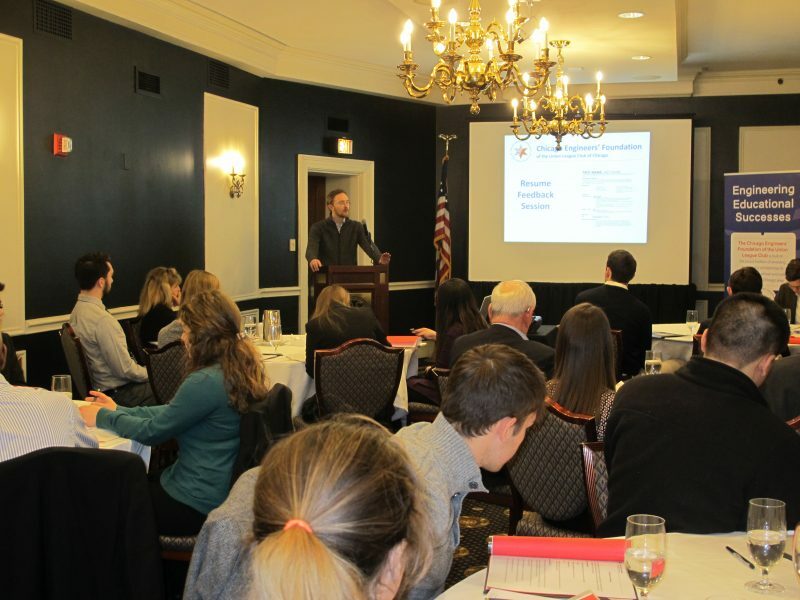 On January 3, 2018 Chicago Engineers’ Foundation presented the inaugural Student Success Workshop. More than 20 CEF Scholars joined professional volunteers for a workshop focused on resume essentials and interview skill development. The afternoon featured facilitated presentation by professional volunteers and CEF leaders, as well as resume evaluations and mock interview sessions. Thank you to the 2017 CEF award recipients and volunteers who participated in this exciting new initiative.